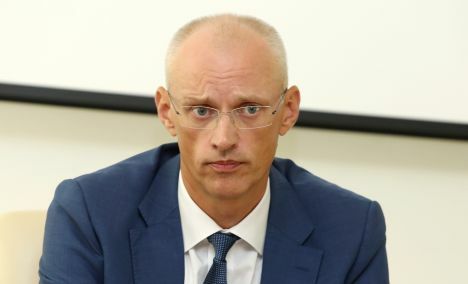 The opposition of Jurmala City Council has submitted a repeated invitation to decide on Mayor Gatis Truksnis’ dismissal, as confirmed by municipal deputy Guntis Grūba. In their application, which was signed by all six opposition deputies, they ask members of Jurmala faction of Union of Greens and Farmers to «take responsibility for Truksnis». Grūba notes that the previous scandals surrounding Truksnis ruin Jurmala City Council’s reputation and people’s trust in state administration. «UGF board chairman Armands Krauze had previously publicly said that his party has recommended Gatis Truksnis to step down voluntarily. UGF board decided to leave the matter in the hands of its faction in Jurmala. At the same time, Krauze mentioned that UGF members in Jurmala have to make their own decision and take responsibility for Gatis Truksnis,» as mentioned in the application, adding that no official decision has been made by UGF yet. The request for a meeting was signed 4 December. Regulations state requested meeting needs to be organized within two weeks. As it is known, on 8 October the opposition of Jurmala City Council requested Truksnis to step down shortly after information was publicly reported regarding the punishment applied by State Police on Truksnis for storage of illegal narcotic substances.